Essaouira (Morocco) – H.E. Sheikha Lubna Bint Khalid Al Qassimi, President of Zayed University, affirmed the dedication of the United Arab Emirates’ leadership to transform the country into a prominent global destination for ease of business, innovation and entrepreneurship. “As the UAE continues to scale non-oil sectors of the economy, the policies that support the development of an entrepreneurial culture across industrial sectors, government departments, new ventures, family businesses and social enterprises will become more apparent,” Sheikha Lubna said. This came during the participation of Her Excellency at the General Assembly of Entrepreneurs’ International Conference, which took place June 30th -July 1st 2018 in Essaouira, Morocco, under the patronage of His Majesty King Mohammed VI and French President Emmanuel Macron. “At a time when the world is changing rapidly, we are seeing disruptive innovations emerging, and technological changes that will shape our future. We are experiencing a new industrial revolution, from developments in artificial intelligence, machine learning, robotics, digitalization, new bio-technologies, the Internet of Things, and many others. Such changes will create a whole host of new jobs, new businesses, new consumer goods and services, and new ways of thinking that will change our lives for the better. 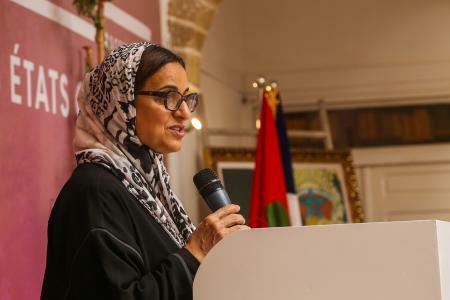 At the same time, there is also concern that such disruptions will negatively impact our lives by eliminating a significant number of current-day jobs and professions,” Sheikha Lubna stated. Her Excellency stressed, however, that the innovative spirit of entrepreneurship can help mitigate these negative outcomes by promoting greater balance between financial gain and economic development through a strong social foundation for overall public benefit. Sheikha Lubna applauded the convening of the symposium in Essaouira, and in Morocco as a whole, “This rich country with its history, civilizations and traditions rooted in the past.” She explained that the Essaouira seminar is an occasion to discuss the appropriate measures to achieve a positive transformation that responds to the most pressing of social needs. In this context, Sheikha Lubna called for concerted efforts to promote and strengthen the role of entrepreneurial initiatives as a key player in this process. The event, which was organized in partnership with the Essaouira Mogador Association and the Office of the Phosphate Bureau and the CDG, is a forum for exchanging best practices and embracing dedicated and analytical processes necessary for the development of entrepreneurship and ensuring economic advances are in line with social objectives. The symposium is also an opportunity for in-depth study and planning for positive economic and technological transformations at the international level, and to develop solutions and proposals aimed at speeding up this process for local entrepreneurship. Further developing entrepreneurial research through greater publication in top ranking journals and encouraging policy research that will support the UAE National Agenda. Upgrading the curriculums and executive educational offerings of entrepreneurship to integrate thought leadership and brand equity through prestigious international partnerships. Enhancing the communication strategy to effectively signal to the entrepreneurial ecosystem that ZU is a hub for entrepreneurship education, research and knowledge transfer. This strategy shall bring an entrepreneurial flair, and a growth mindset, to the next generation of graduates and further support the Emiratization movement. It will also provide critical entrepreneurial leadership training for succession planning within family businesses and inspire the creation of new start-ups and social enterprises which will help develop entrepreneurial leaders within government departments. Moreover, the president added that Zayed University is currently developing an Innovation and Entrepreneurship Center with a selections of integrated projects aiming to develop, stimulate and augment an entrepreneurial mindset into the students. “The new center will help prepare students who wish to start up a new business, share and integrate best-practice entrepreneurship tools and projects with industry partners,” she said. “Zayed University will provide cutting-edge research capabilities dedicated to entrepreneurship and innovation, and promote inter-disciplinary collaboration within ZU,” she added. 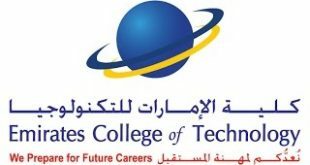 Undergraduates will also be able to engage in various extracurricular activities, “The University is placing a new set of programs, training courses, boot camps, competitions, speakers, mentoring sessions, seminars, pitches, collider sprints, international experts and more,” Al Qasimi added. H.E. Sheikha Lubna delivered her speech before distinguished panelists His Excellency, Mr. André Azoulay, President, Association Essaouira Mogador, France, Mr. Moulay Hafid Elalamy Minister of Industry, Investment, Trade and Digital Economy, Morocco, Ms. Lamia Kamal-Chaoui Director of the Centre for Entrepreneurship, SMEs, Regions and Cities, OECD, France/Morocco, Ms. Amandine Lepoutre, Founder and Co-President, Thinkers & Doers.